"Things, objects, artifacts, paintings, and they are exactly what they appear to be. They never change. They never disappoint. There’s a purity to beautiful things that I’ve never been able to find in another human being." Ridley Scott worked magic to replace scandal-plagued Spacey with Plummer, who plays John Paul Getty with “magisterial skill” in kidnap thriller. Replacing Kevin Spacey in true-life kidnap thriller 'All the Money in the World,' Christopher Plummer plays tycoon John Paul Getty "with acid humor, stunted emotion and magisterial skill," writes Peter Travers. Director Ridley Scott is a real magician. He sure as hell pulls a rabbit out of a hat in All the Money in the World, a fact-based kidnap thriller that seemed on the road to becoming the first cinema casualty of the sexual misconduct era. There was Scott, ready to release his film version of how the world’s richest man, John Paul Getty (Christopher Plummer), balked at paying the ransom for his 16-year-old grandson, known as Paul. Then, a month before the film’s scheduled release, a scandal broke that embroiled the disgraced Spacey in multiple charges of harassment and assault. Unwilling to throw in the towel and accept commercial disaster, Scott recast the role of Getty with the great Christopher Plummer, started in on nine days of reshoots (cost: $10 million) and determined to get his film into multiplexes before the new year. Impossible? Nah. Impossible is what the 80-year-old Scott, the director of classics from Alien, Gladiator and Black Hawk Down to The Martian, eats for breakfast. So welcome to All the Money in the World in which Plummer, 88, aces the role of Getty and shows us what gave the billionaire his infamous cold, cold heart. 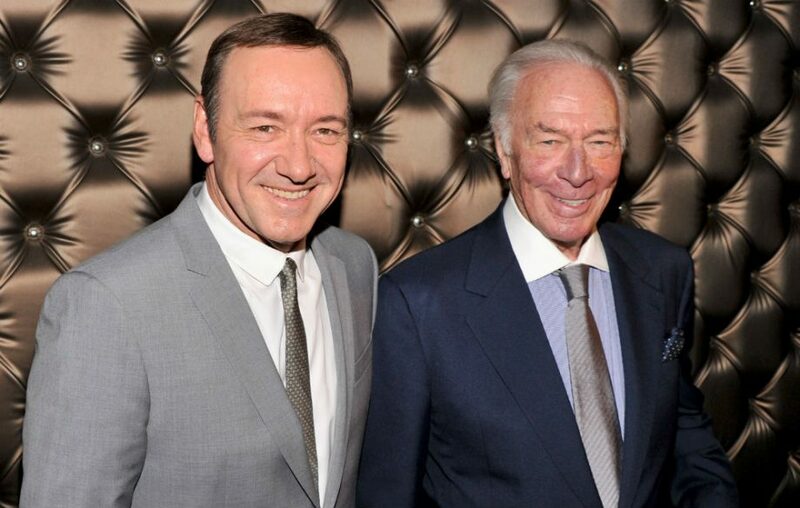 We’ll never know how Spacey handled the role, but Plummer finds depths in the character barely hinted at in the by-the-numbers script from David Scarpa, based on the John Pearson’s book Painfully Rich: The Outrageous Fortunes and Misfortunes of the Heirs of J. Paul Getty. The details of the case are laid out with systematic efficiency. It’s on the streets of Rome in 1973 that Paul Getty (Charlie Plummer, no relation to Christopher) is snatched by Calabrian thugs, including the strangely sympathetic Cinquanta (the excellent Romain Duris). The ransom demand is $17 million. It’s up to Paul’s mother, Gail – Michelle Williams struggling valiantly with an underwritten role and an uncertain accent – to get her father-in-law to pay up. The boy’s father and her ex-husband, John Paul Getty II (Andrew Buchan), is basically spaced out in Morocco doing drugs with Mick Jagger. And when he does ask Big Daddy for the cash, he is refused. The miserly Getty is unmovable. He refuses to deal with terrorists and reasons that if he pays the $17 million for Paul, his other 14 grandchildren will inspire copycat kidnappings. He does, however, assign the case to Fletcher Chase (Mark Wahlberg), a former CIA operative who now works as Getty’s fixer. Chase is aware that young Getty had once bragged to friends about extorting money from his grandfather. And though Gail pushes Chase to take action – her son has been held for five months – he doesn’t really move on the case until Paul’s severed ear arrives as an incentive. How Chase and Gail try to squeeze a reduced ransom demand of $3 million out of Getty and work to rescue his grandson is the plot of the movie. And Scott hasn’t lost a bit of his skill at delivering full-throttle suspense. The final stakeout is masterful cinema. And Williams brings a heartfelt tenacity to her role. There’s not a moment when All the Money in the World isn’t vital, visceral filmmaking. But only Plummer cuts deep to the roots of a character who feels more comfortable laying hands on his famous art collection, later housed at the Getty Museum, than feeling the human touch of his family. Locked in the prison of his own wealth and suspicion, Getty is truly a figure of pity and terror. And Plummer plays him with acid humor, stunted emotion and magisterial skill. Though the rest of All the Money in the World expertly skims the surface of this true-life drama, Scott makes it a hell of a ride.